>> Zac: Let's talk about what we've done here. So everybody has had an example to, or had a chance to at least work through. Thumbs up if you got through saving something successfully. All right, thumbs stay up if that felt good at some emotional level to have it, yeah, okay. [00:00:16] I'd like to take a moment then, let's just go around and hear from everyone. If you have a question, or insight something that you noticed, anything like that, and we'll start over at the far end here. Speak into the microphone, please. [00:00:37] I'm kind of really enjoying this even though we haven't really touched any of the PHP. So I'm a little nervous about diving into that later on, but otherwise overall enjoying it. >> Zac: Nice. That is actually really great feedback and if you stay in the WordPress ecosystem, that's what PHP learning is like. [00:00:55] It's just little bits, it's pretty manageable. So hopefully that will continue on. Very cool. >> Male: I think some prerequisites would have been cool too, just having a little bit to take a look at before we come in here. I took a look at some of the stuff and have worked with my own WordPress website a little bit, but I've learned a lot here. [00:01:21] So the single page application stuff is really cool. And like you said, once you get that stuff working and you can update that, it's really. >> Zac: Nice, yeah. I think that you're right. That, again, my assumption was that most folks watching or here at the workshop, would have built a theme or have some of that. [00:01:39] So double applause to tackling this weird alien environment without that background. Let's jump to the back row. >> Male: Just it's really nice. Kind of an expedited path that you can follow now to develop your own stuff if you like. Gets the really basics taken care of. >> Male: [CROSSTALK] And manipulate it. >> Zac: Comes into place? >> Male: After that, based on what you're looking for, yeah. >> Zac: Cool. How long do you think we would've been here if we'd coded everything today from scratch? >> Male: We probably would've gotten through one of the things. >> Zac: [LAUGH] Yeah, we'd still be in [CROSSTALK] QS. [00:02:14] [CROSSTALK] that big wouldn't probably be what happened. How about you? [00:02:49] And so awesome, good feedback. >> Male: Yeah, I definitely appreciate the moldability to all the work that we did today as someone who hasn't. I kinda stopped at getting my situation kind of figured out, getting things hooked up on the development side. One thing I, just I might appreciate as someone who is kind of freak for having all of my notes. >> Zac: So good, okay. >> Male: It's a little more like digestible that's just as I'm kind of tooling around a little bit now. >> Zac: No, that is brilliant. I'll take all the slides and put them in a markdown format or something, then you could just read [SOUND], nice, awesome. Cool, good feedback. How about for you? [00:03:59] This was actually surprisingly fast. So the code is straightforward to understand, as long as you've seen it before. But that's the first thing that came to mind, was like, yeah, this loads fairly fast. >> Zac: Good, because sometimes the API can be a little slow, so it's good that your initial feel was responsive. [00:04:18] Did most people feel it was pretty quick? You weren't waiting too long? Good, that's what we're looking for, awesome. Best for last, eh? >> Male: As someone who really has thought at different times in my life that WordPress was kind of equivalent to blogger.com or simple. >> Male: This, I'm amazed that kind of power. [00:04:38] And I think as time goes on, I go through the notes, I'll discover more and more that you can do with this. And the second observation, for being a one day course, I've been impressed by how much interactive you've been with the students in the chatroom and stuff. [00:04:50] And I've gotten a lot of feedback just from you, personally, which I definitely was not expecting. >> Zac: Hoorah, well, thanks for all coming. I've enjoyed that, too? >> Male: And I guess I'd add that I've done a lot of consulting for start ups and just working here as well. [00:05:08] WordPress is how people get ideas off the ground. It's really just the real fast, simple framework that you can pull a bunch of plugins. And then mold your application to do something that really hasn't been done before, or does what you need it to do for your business. [00:05:24] So a lot of people built the version 1 [LAUGH]. >> Male: On WordPress. And in our case, we are continuing to use it [LAUGH] because it's just such a big project to get off of it. Even though we have a successful app and we're making a lot of changes to it incoming. [00:05:42] But it's just the ease of use to stand up and how many plugins that you can get into it. So if anyone's entrepreneurial, just a great fantastic way to get things off the ground. And another experience work for big corporation and they were always just shocked that how much their C-sharper you know, C language based CMS' would cost to do anything you know, right? [00:06:08] And it's like, yeah you wanna build a website, that's gonna be a $100,000 or $200,000. And it's like, you know what, I'd keep saying in WordPress, I can stand this up in a week by myself [LAUGH]. >> Zac: And I only charge you 50. >> Male: [LAUGH] Yeah, only charge a $50 grand. [00:06:22] So those are just some things to add to that. >> Zac: Awesome, very good feedback. Yeah, I like that. And I guarantee that like in the next moon, at least half of you will have some over conversation where WordPress could be a solution. And the other person might not even know it, and you don't have to bring it up to him because then you're also volunteering your help, right? 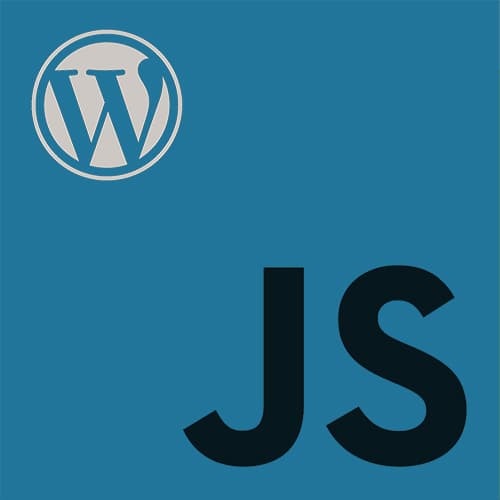 [00:06:42] But you'll end up and had be like, that WordPress could do that pretty easy right. >> Male: I mean, is this up and coming or way over this behind the curve? >> Zac: I think it'll take you four months of this to get over the next hump of leaving here and really getting more comfortable. But I can even see in the next, I think five years is safe to say that WordPress is not gonna go away. It's still gonna gain a few percentages of the web.